A Houston police spokesman says foul play is now suspected in the disappearance of the aunt and uncle of a suspect in several California homicides. Houston Police Department spokesman Kese (KEEZ) Smith said late Wednesday that he had no further information on the development in the disappearance of 60-year-old Dina Escobar and 65-year-old Rogelio Escobar, whose nephew is 47-year-old Ramon Albert Escobar. Ramon Escobar is considered a person of interest in the cases. 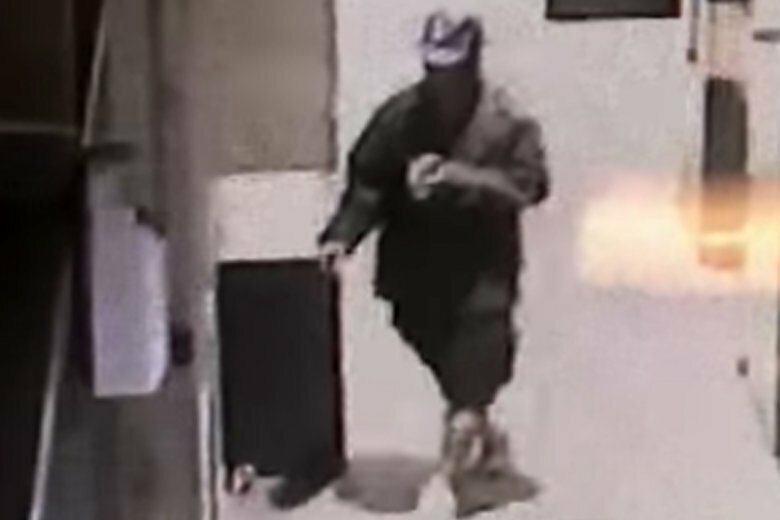 Ramon Escobar is suspected in a series of killings and beatings targeting sleeping homeless people in Southern California. He was charged Wednesday in Los Angeles with three counts of murder, five counts of attempted murder and four counts of second-degree robbery. Arraignment has been postponed for a man suspected in a string of killings and beating targeting sleeping homeless people in Southern California. Forty-seven-year-old Ramon Albert Escobar was charged Wednesday with three counts of murder, five counts of attempted murder and four counts of second-degree robbery. However, his scheduled arraignment was pushed back to Nov. 8. A judge in Los Angeles ordered him held without bail until then. Escobar has a long criminal history and has been deported to his native El Salvador six times. Police in Houston say he’s a person of interest in the disappearance of his uncle and aunt. Los Angeles police say the series of attacks on sleeping men in L.A. and Santa Monica began this month shortly after Escobar arrived in California from Texas. A man suspected in a string of killings and beatings that targeted sleeping homeless people in Southern California has been charged with three counts of murder, five counts of attempted murder and four counts of second-degree robbery. Los Angeles County prosecutors said Wednesday that Ramon Alberto Escobar will be arraigned later in the day. Police say Escobar has a long criminal record in the U.S. Federal officials say he has been deported to his native El Salvador six times. The 47-year-old suspect also faces special circumstance allegations in the Los Angeles case of multiple murders and murder during the commission of a robbery, making him eligible for the death penalty. Police in Houston want to talk to him about the disappearance of his aunt and uncle. A man who Los Angeles police say is a “deportable felon” responsible for the beating deaths of three men was questioned weeks earlier by Houston authorities about the disappearance of his aunt but released because he had no outstanding warrants. Houston police spokesman Kese Smith said Wednesday that 47-year-old Ramon Escobar was not a suspect in his aunt’s disappearance when he was questioned Aug. 30. Smith said a background check determined he had no outstanding warrants and was in the country on a work visa, so he was released. Smith says immigration status is checked only when a person is being booked into the city jail after being charged with a crime. Federal officials say Escobar has been deported to his native El Salvador six times. Authorities say Escobar later traveled to Los Angeles where he was being held Wednesday for allegedly attacking homeless men as they slept. He’s now a person of interest in the disappearance of his aunt and uncle. A man who was deported from the United States six times is expected in court Wednesday to face charges after police say he killed three people and injured four in attacks targeting sleeping homeless men in California. Police planned to ask prosecutors Wednesday to charge 47-year-old Ramon Escobar with murder and attempted murder. Investigators believe Escobar tried to rob the men. It wasn’t known if Escobar, who is being held without bail, has an attorney. Immigration officials say Escobar is from El Salvador but has a long criminal history in the U.S. He was released from Immigration and Customs Enforcement custody last year after appealing his latest immigration case but his legal status wasn’t immediately clear. Authorities in Houston consider him a person of interest in the disappearance of his aunt and uncle.